Hi, While working with my first job, There were no any bug tracking tool used before. Its very important to use any bug tracking tool either free or either Paid. Before using any bug tracking tool we were using excel sheet. But it get very difficult to track and maintain these bug found records. 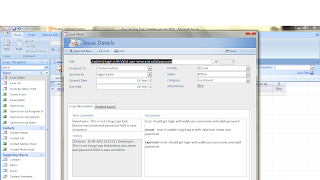 While doing R & D on net first tool i got is Microsoft Access Database Bug Tracking tool. Its free tool to use and easy to use. Below I'll give all details about downloading this tool to installing and using . Just follow below steps and comment me your reviews. 3- Open downloaded file naming "TS001225348"
4- Ar right bottom Access will ask you for creating database Click on button "Create" and create database. 7- By doing above steps you can easily install and configure. Simple Access bug tracking tool. Now below steps will guide you about adding bug. 10- Enter Issue Title , Assigned To, Opened by, Opened date, Due date, Priority, Status, Category, Attachment, Comments and Description after entering all this click on "Save and New" and Enter New Bug . 11- I will tell you some important things while entering bug. Category:- You have to edit this just click on category you will see a pencil option below to category click on that pencil and you will get popup showing 3 default categories make categories as you want. 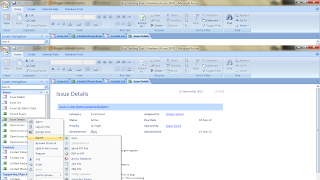 Attachment :- Click on attachment you will get popup and you can add screenshot of bug or any file related to bug. 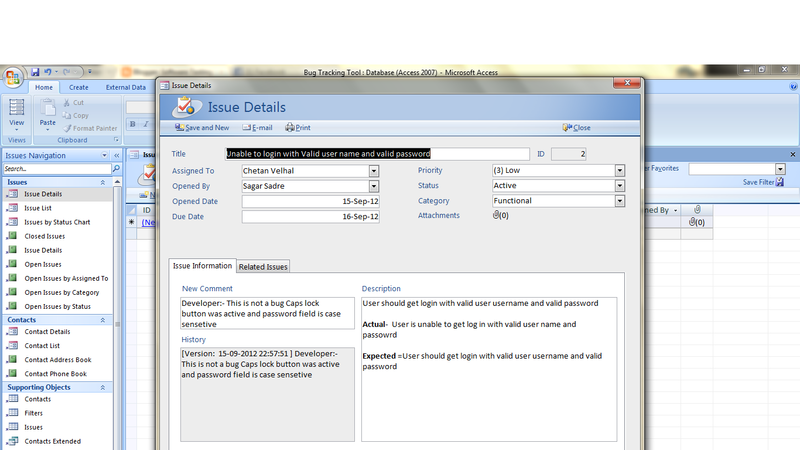 After entering bug in bug tracking tool its important to generate report. Generating Bug report is easy in this Just right click on Issue details> Select Export> Select Export type word, excel, pdf etc. have look on below image for better understanding. Above report is generated for Issue details . Same way you can generate issue reports for Open issues and Closed and issue, and other type issue listed there. There is other way to check bug logged user wise do the below steps. Open Contact Form- Choose user for which you want to check assigned bugs. 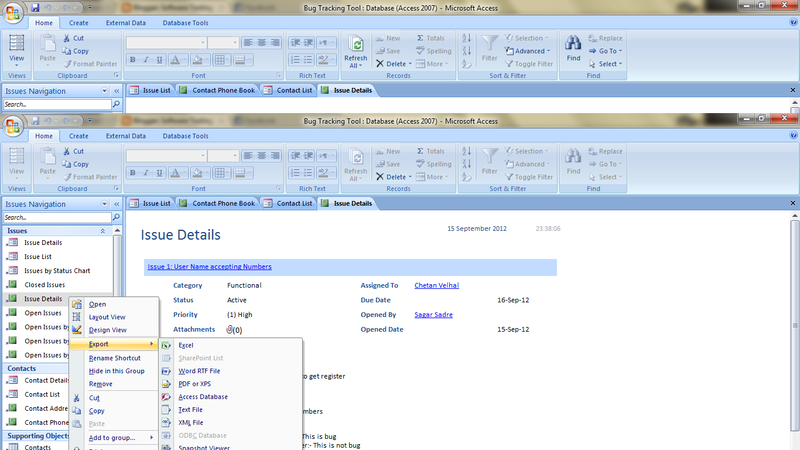 Now click on tab Assigned Issues, and you will get list off assigned issues by user. This is how i did R & D of this first bug tracking tool in my first job. I used this access bug tracking tool and still using this.